Verdict: awesome. You can pretty much stop reading at this point if you want. ‘Dredd 3D’ is undoubtedly one of the strongest action movies of 2012, inventive in ways that will surprise you and pleasingly gritty and violent for fans of the 1970s comic book series on which it’s based. It also shares a plot that parallels ‘The Raid’, which came out earlier this year—so fans of that (admittedly outstanding) action flick will no doubt cry afoul. It’s also a little corny – but that’s the pulpy subject matter for you. Last seen in the 1995 Sylvester Stallone vehicle, you wouldn’t be blamed for that persisting sour taste it left in your mouth. 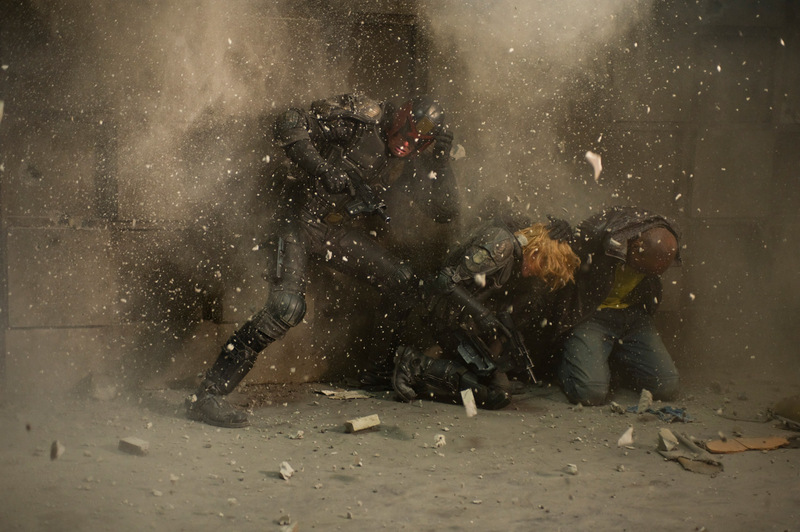 Dredd 3D is an altogether better production on every front – though, familiar in coarse tone and gratuitous violence. Plus: no Rob Schneider. Minus: No Armand Asante, who has the best name in Hollywood. Bonus credit: The 3D isn’t impressive or distracting. It’s just there. Let’s move on. Judge Dredd (Karl Urban – ‘Star Trek’, ‘Priest’) is a government-appointed justice-dispensing triggerman in the futuristic police force of Mega-City One. After picking up new recruit Judge Anderson (Olivia Thirlby – ‘Juno’, ‘No Strings Attached’, they’re called in to investigate deaths at Peach Trees housing commission tower community. They run afoul of gang members led by ‘Ma-Ma’ (Lena Headly – ‘300’, ‘Game of Thrones’) who runs the block and locks the building down. This is how you do Judge Dredd. Urban might not flash the upper half of his face, but he has a surprising impact when he snarls. There are quips, but they’re delivered so straight that they actually work. They’re cheesy as hell—but unlike 1995 ‘Judge Dredd’, there are no comic foils and no slapstick; just bleak, black humour and a skilled director who manages to keep it from falling into schlock. We’re as surprised and amazed as you are—I know. If there’s a softness or vulnerability to be found in Dredd, it comes through Thirlby’s performance. She plays a rookie Judge and psychic, whose abilities are apparently clouded by the usual Judge helmets—conveniently keeping her face exposed and helping to differentiate the two during action scenes. She’s not given a lot of material to play with, but she certainly goes through the motions pretty well. British director Peter Travis cut his teeth on UK TV’s ‘The Bill’ before eventually helming the mediocre perspective-jumping thriller ‘Vantage Point’ in 2008. With ‘Dredd 3D’, Travis demonstrates his ability to compose stunning action sequences that don’t rely on constant handheld jiggle to increase the chaos and impact. If anything, Dredd’s action points back towards the late 90s obsession with slow-motion, ultra-high shutter speed photography, resulting in extremely slow, smooth camera motion. Travis captures smoke and water beautifully, digitally enhancing them during drug-induced hallucinations to create gorgeous prismatic blooms. 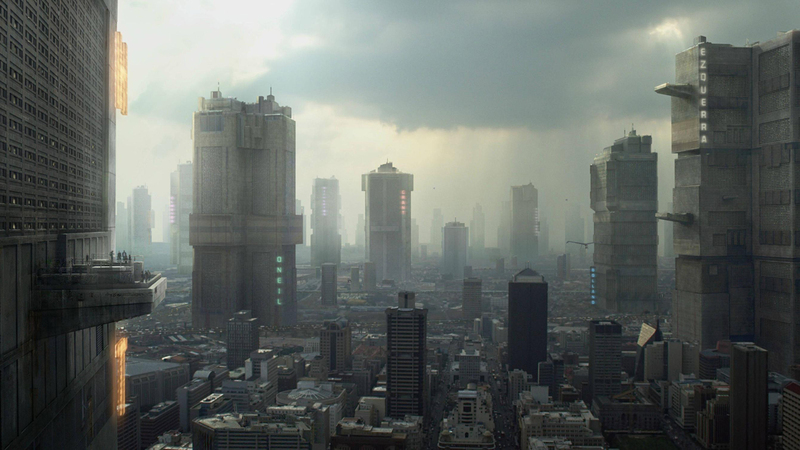 If you love your bleak, dystopian futurescapes, you’re in for a treat. When the bullets start flying, however, Dredd doesn’t shy away from some particularly graphic violence. If you’re the kind of person who scrunches their nose at heads exploding, people being torn apart and blood spilling like an out-of-control fire hose, you might want to return to reading your copy of ’50 Shades’ and leave this one to the professionals. If that sounds like your cup of Irish coffee, by all means—Dredd is an action fan’s delight. It doesn’t overcrowd with characters or lame storytelling; it dips you in just far enough to get a sense of the villain’s background and a reason to feel sympathy for Thirlby’s Judge Anderson. It’s the creative gunplay and extremely watchable slow-motion action, pulling pages from ‘Sin City’, ‘Watchmen’ and ‘300’ alike, that propel Dredd into the same league of theatrical quality. Pundits will pluck at the thread of plot established first by ‘The Raid’—and I’d be the first to admit it’s still the better film. Go and see it if you haven’t. However, this bloodied vision of the future is one of the most enticingly warped and well executed (pun?) I’ve seen since ‘The Fifth Element’—and that’s high praise indeed. We have a Twitter—you should follow us! Thank you this movie was AMAZING!! F YES. Nice review. I was disappointed by The Raid if I’m honest. It wasn’t a patch on the Ong Bak or Warrior King in the fighting and good a little bogged down in taking itself too seriously. They could have done more smashing through the walls and going room to room but nevermind. I had considered seeing Dredd at the cinema but it was the fact that it looked so like The Raid and it’s wrapping in 3D, which is a fad I can’t abide that prevented me from doing so. However, the reviews for Dredd have been promising (your one certainly said all the right things) so it may have to be a DVD purchase.